We are committed to great design and the complete success of your project. We understand that kitchens and bathrooms are not only the most commonly used rooms in a home but also the most personal. Our expert team of designers and installers work with you from start to finish, ensuring a most-pleasing end result to your renovation experience. Our showroom provides the most personalized service, working with you every step of the way. In 2004, Stone International was established with the simple concept of providing the best quality natural materials at wholesale prices for any and all kitchen design and fabrications. Call us today! At The Place for Kitchens and Baths, we combine this expertise with ingenuity and creative thinking to turn your average space into an extraordinary one, reflecting your tastes and personality. The creative head of The Place for Kitchens and Baths is Barbara Geller, ACSD, PKBD. As a certified Kitchen and Bath designer, Barbara has been creating kitchens, library and bath spaces since 1980. With both undergraduate and graduate education in Fine Arts, she offers a unique approach to her designs, in which beauty is only surpassed by function. Her attention to details and creative solutions, have earned her respect in her field and has often been quoted in, and written for, several design publications. Feel free to reach out to us, we would love to hear from you! Here at TM Cabinetry we take great pride in our work and our accomplishment. We provide service and consultation to our customers as well as education needed to properly maintain and preserve your investment in quality cabinetry. We make sure that our customers are satisfied every step of the way. TM Cabinetry designs and manufactures quality wood cabinets for your kitchen, bath and closet. Whether for a new home construction project or kitchen cabinet remodel, TM Cabinetry has what you are looking for at a price you can afford. When it comes to selecting cabinetry for your home, you want options and TM Cabinetry offers plenty. We give the ability to take our already distinctive cabinetry and personalized it even more. Custom cabinets, TM cabinetry is who you are looking for. We are here to design and manufacture your dream kitchen, bath and closet. Since 2000 we sell high end quality kitchen cabinets Made in Germany here in the USA. With GK's, our in-house brand, we are able to offer 7 different price groups + 1 price group for bigger project to fit nearly every budget. We sell also appliances from MIELE, LIEBHERR, and other brands. ON TOP OF OUR HIGH END PRODUCTS WE ALSO OFFER HIGH END SERVICE. 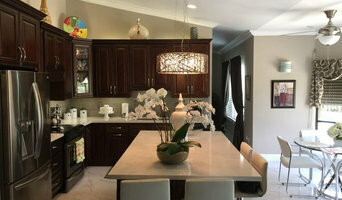 Achieving flawlessly functional and attractive kitchen and bath design in West Park, FL requires a professional who specializes in these spaces. Not only do these rooms see the most action of the house, but they require the most planning and attention to detail. When designing them, a bath and kitchen designer must keep a strong focus on the homeowner's wants and needs while also considering things like potential resale value. Read the tips below to learn how to choose the perfect West Park kitchen and bathroom design professional for your home project. What does a West Park kitchen designer or bathroom designer do? 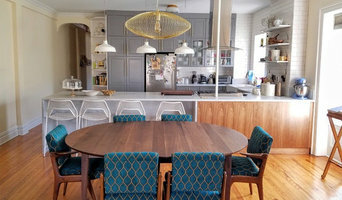 A kitchen and bath design professional in West Park, FL knows to take all of these crucial points into consideration and can help plan the layout, materials and overall look and feel of either of these rooms in your home. Kitchen designers, as well as bathroom designers, are constantly staying on top of trends in the ever-changing industry. The designer also knows the best layout for your room, and can configure the layout for optimal functionality and utilization of the space. In the kitchen the refrigerator, stove and sink should be laid out in relation to one another, and it should be seamless and easy to move from one to the other. A West Park kitchen and bath designer will know how to work with a contractor and architect to plan the flow of the room to work best for your needs. Here are some related professionals and vendors to complement the work of kitchen & bath designers: Kitchen & Bath Fixtures, Appliances, Tile, Stone & Countertops, Cabinets & Cabinetry, Woodworkers & Carpenters. Before you talk to bath and kitchen designers in West Park, FL, consider how you will use the room. For your bathroom, is it necessary to have a bathtub for bathing kids or pets, or would a shower suffice? Perhaps all you need is a half bath for downstairs or a smaller guest bath for occasional use. Similarly, for kitchen renovations consider your cooking habits. Do you eat out every night but need a space to entertain in? If so, a smaller kitchen might be fine for you, with a space devoted to wine storage or a bar, whereas others might prefer a bigger stove or extra cabinets. When interviewing West Park kitchen and bath designers, make sure to share these habits so they can best fit the room to suit your needs. Find a West Park kitchen designer or bathroom designer on Houzz. Narrow your search in the Professionals section of the website to West Park, FL kitchen and bath designers. You can also look through photos in West Park, FL to find a kitchen or bathroom you like, then contact the professional who designed it.